professionally scanned and laser printed on gloss 24lb paper. $12 + exact shipping (no gouging) for the set of 8 posters. All are 8.15" x 11.6". Will also take trades of equal value in exchange for poster sets. A related question: were these actually inserts? I've never found any that were folded to fit inside those tiny Famicom game boxes. I assumed these were handed out. They came with the FDS itself. I'll buy a set, but for now I really need a scan of Mr. Disk by himself in the second space of the bottom row. Please provide it! 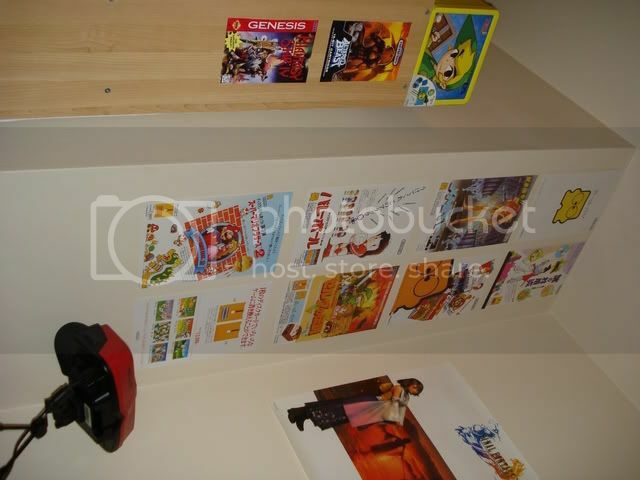 Just the Nintendo ones (those pictured above right)? Because nearly every game has a poster like these. I see some other posters in the picture there. Do you have other poster reproductions for sale as well? These look great and I may pick some up soon. Do you have any other posters that you could reproduce? 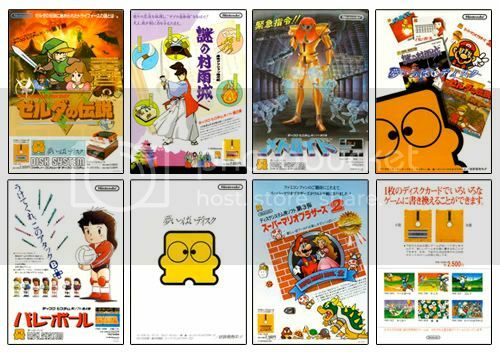 I also saw a few other Famicom game posters on eBay like Super Mario 3, Tetris, and Kid Icarus -- they are very nice looking. I would love to buy a set. Can I have more info?? Can you PM your details and info and I'll send you PayPal (is that okay?). Plus, I need to give you my details like address. I have a whole bunch of handbills, but I think any handbill collector will side against reproductions like this.